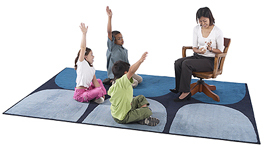 For preschoolers, warning signs that may prompt the need to consider evaluation for special education may include (but are not limited to) markedly delayed language, physical, and/or social abilities. For school aged students, significant difficulties with learning may prompt discussions with teachers about the possible need to refer a student to a Child Study Committee to discuss intervention strategies and/or the need for an evaluation. For more information or to refer a child to the school Child Study Committee, please contact the Principal or Assistant Principal at the student's zoned school or call the Office of Student Services at 898-0308. The Child Study Committee will discuss the reason(s) for the referral and determine, with the parents' involvement, whether or not a student needs an evaluation to consider the need for special education. Parents or community members may also contact the Office of Student Services for general information or questions at 757-898-0308.